Bremen’s historic standpipe was built in 1892. 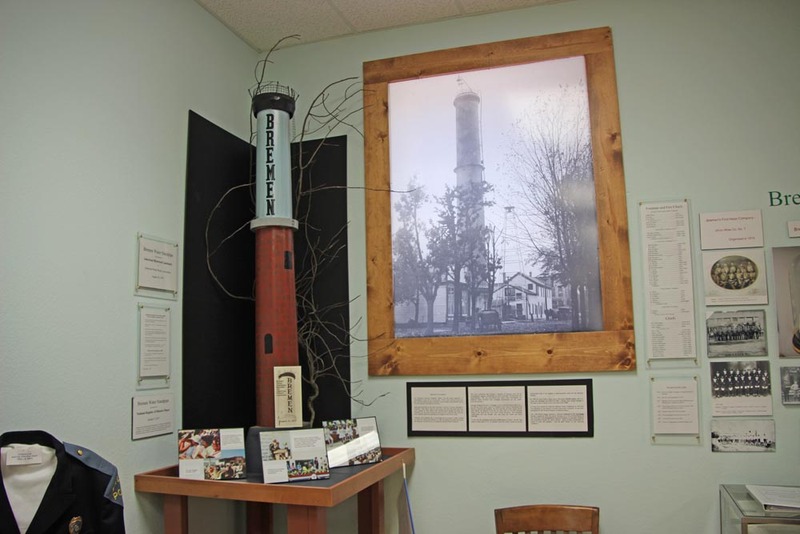 We have an exhibit on the standpipe that includes a beautiful scale model. “Standpipe” is an old term for “water tower” that is now more commonly used for fire hose connections attached to buildings. There were once 400 standpipe-type water towers in the US, but very few remain today, the most famous probably being the 1869 Chicago Water Tower, which was built of limestone in a castle-like style. Bremen’s standpipe is a 101-foot tall brick and steel tower located on Jackson Street just south of Plymouth Street. It was dedicated in 1975 as an American Historic Water Landmark. A devastating fire November 6, 1891 destroyed an entire city block in town, galvanizing the community to fund the construction of a water works at Shady Side Park and the standpipe to deliver the water to residents for both firefighting and home use. From 1892 to 1955, the standpipe served the town of Bremen as a source of water pressure with a capacity of 30,000 gallons. Now the town is served by multiple modern towers that hold ten times as much. 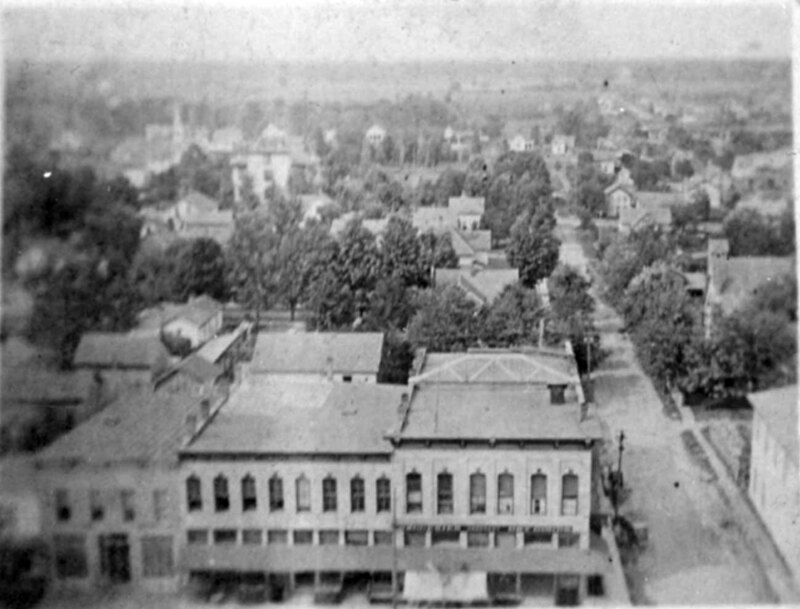 View north from the top of the standpipe in 1906. The building is Wright House hotel and bowling alley on Jackson St (right).